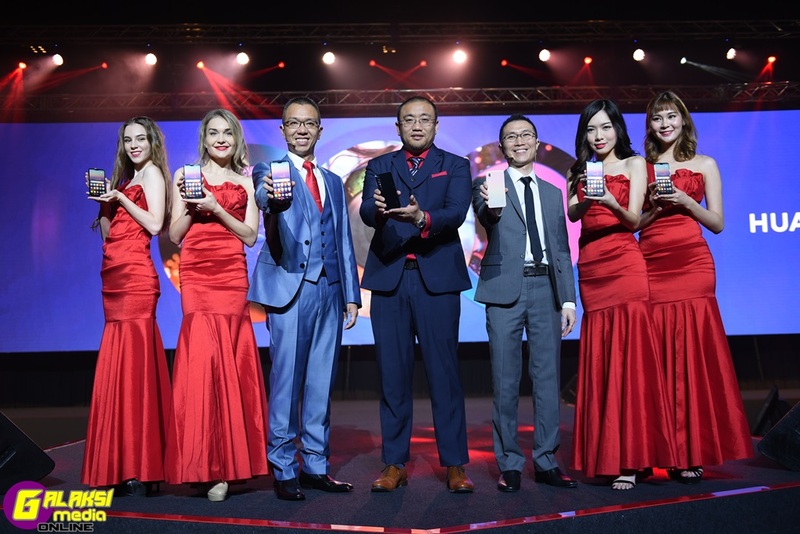 MALAYSIA, 4 April 2018: HUAWEI, the second largest smartphone brand in Malaysia, unveiled the much-anticipated HUAWEI P20 and HUAWEI P20 Pro today. The HUAWEI P20 Pro features the world’s first Leica triple camera and both devices include unprecedented AI advances, combining technology and art to bring to life a groundbreaking smartphone experience. The combined sales for the P10 and P10 Plus have crossed the total of 10.4 million units, while a staggering total of 5.31 million units of Mate 10 Series were sold. Overall, across all divisions, HUAWEI’s global revenue for 2017 grew to an impressive value of USD 1,022 billion, which is a rapid 26% increase from 2016. In Malaysia, HUAWEI’s brand awareness stands at 94%, which indicates that 9 out of 10 people have heard of HUAWEI. Apart from that, HUAWEI is also ranked in YouGov ranking, an international internet-based market research and data analytics firm. HUAWEI ranked 6th in the top 10 brand advocacy ranking and number one improver from 2016 to 2017. In 2017, the sale of HUAWEI’s flagship products soared, gaining a 13% year on year growth with the P series. The Mate series, on the other hand, grew by 65% year-on-year in a short 3 months’ time. Capturing the photography capabilities, an experiential session was conducted to highlight the most light-sensitive mobile camera, lossless zoom and Master AI. In commemoration of the launch of the HUAWEI P20, HUAWEI will celebrate the power of intelligent photography with customers along with the HUAWEI P20 Roadshow from 6 till 8 April 2018 at LG Floor, Blue Concourse, Sunway Pyramid. Customers can return with attractive prizes worth more than RM999 with every purchase of the HUAWEI P20 series*. To be part of the most intelligent camera experience, customers can purchase the new P series to get freebies worth more than RM999, ranging from prizes such as a Canon Pixma E3170 printer, a HUAWEI Sport Bluetooth headphone (AM61) and other exclusive rewards*. Additionally, customers will stand a chance to be awarded with another HUAWEI P20 Pro smartphone when they purchase from the HUAWEI P20 Roadshow. On top of that, the HUAWEI P20 Roadshow experience will also be organised in Sunway Carnival Mall, Penang, and customers are encouraged to be a part of this exciting roadshow at the same time. The HUAWEI P20 Series features a striking, fashion-forward aesthetic. The HUAWEI P20 and HUAWEI P20 Pro are also available in Black and Midnight Blue. The HUAWEI P20 Series reflects the art of light, with camera features that enhance the smartphone photography experience. The HUAWEI P20 Pro features a Leica triple camera with the highest total pixel count on a smartphone available in the market – the camera configuration is comprised of a 40MP RGB sensor, a 20MP monochrome sensor and an 8MP sensor with telephoto lens. It also features a color temperature sensor for better color reproduction. With f/1.8, f/1.6 and f/2.4 wide aperture to capture crisp, clear details, the HUAWEI P20 Pro also includes a brand new Leica 3x telephoto (VARIO-SUMMILUX-H 1:1.6-2.4/27-80ASPH) lens for long-range photography of up to 5x Hybrid Zoom. The HUAWEI P20 Pro’s highly sensitive image sensor captures low light photos with up to ISO 102400. The HUAWEI P20 Series will be made available on 6 April 2018 locally. For more information please visit HUAWEI’s website at http://consumer.huawei.com or HUAWEI’s official Facebook page www.facebook.com/HUAWEIMobileMY. Highest overall DxOMark scores in the mobile camera category – HUAWEI P20 Pro: 109; HUAWEI P20: 102.